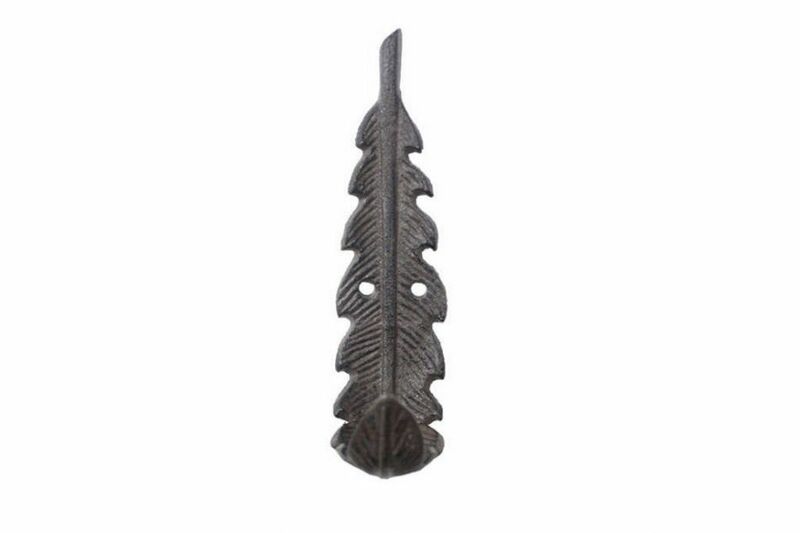 This Cast Iron Decorative Feather Hook 6" is the perfect addition to any home. 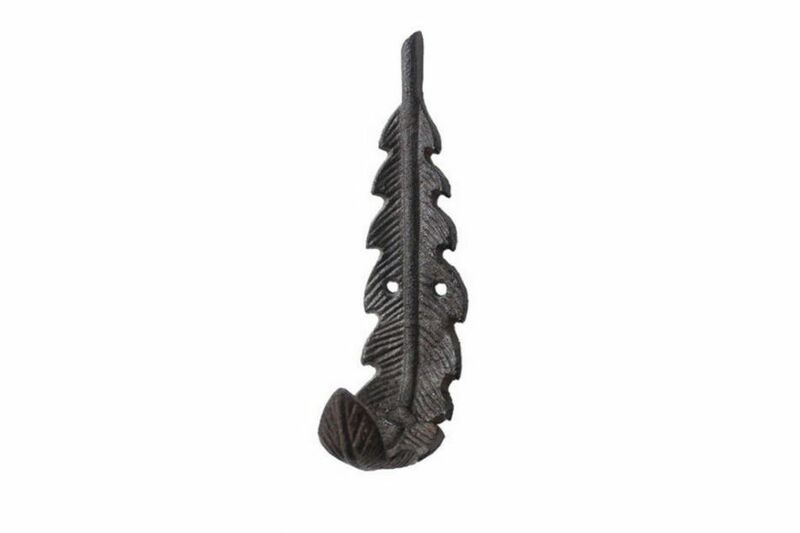 Ideal for hanging clothes and accessories, this durable feather wall hook is handcrafted from cast iron. 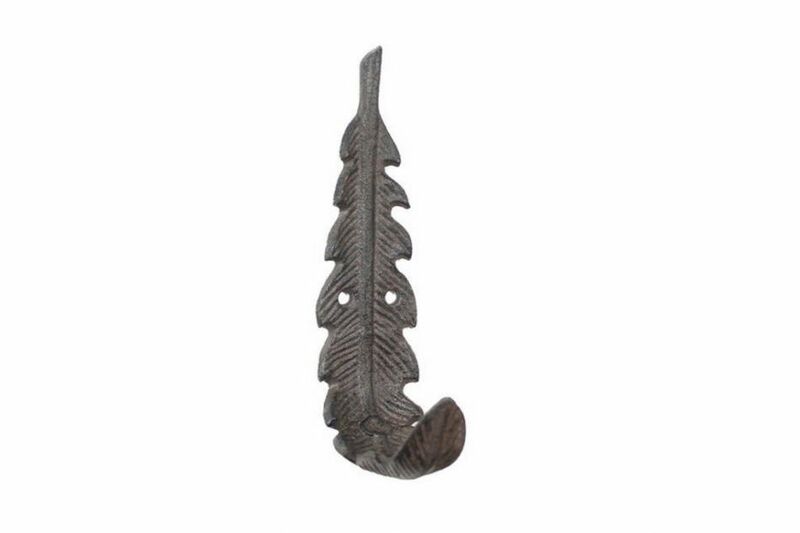 Easily mountable, this hook can be displayed in any room of your home.